Let mkisofs support Chinese file name. When I testing the Chinese PE, I find a big problem, the mkisofs.exe from NativeEx server does not support Chinese file name. I check the mkisofs by run "mkisofs.exe -input-charset cp936", and it shows it doesn't support CP936, the Chinese code page. So I download the new mkisofs.exe that support Chinese file name, this works well with Chinese file name. @Peter: Do you think we can use this mkfsiso to replace the NativeEx server one? I tested. It is much bigger 700 comparef to 200 MB. But it works well for me, too. So a replacement could be done. But it is not on the nativeEx server, but on the LiveXP server. So it is a job for Galapo to decide and upload. , Thanks Peter and Galapo! Do you have another URL? Do you have this mkisofs source code? Did you created binary file? Did anybody adjusted mingw32 timestamps? Does this mkisofs version create correct timestamps? Does this result to a valid infcache.1? Is PNP delayed? Does boot-land community prefer slow pnp? Charsets are not included to binary anymore. Does this create correct filenames? There are debug information included. This has been remoded previously. Use strip to delete this. Filesize reduce 100 kb. And old file was upx compressed. Does NativeEx add "Documents and settings" to ISO image? Does NativeEx use a RAM disk? Which driver does NativeEx use? create a ImgDisk image at build time. Copy "Documents and settings" to image. Load ImgDisk image at boot time as RAM disk. Yes. The folder is compressed before final ISO creation and unpacked to %temp% at build. By default, yes. ImDisk is the default. However, other options, of course, are BootSDI ramdisk or the use of FBWF, which both then allow unpacking of 'Documents and Settings' to the systemdrive. I don't have the source code, I just download the binary file from a very famous Chinese PE discussion forum. The author said he used mingw32 to recompile the mkisofs 2.01 for win32 to support not only Chinese. @Galapo: a job for you? Yes, I can do that. No problem with upxing, but I would need to be provided the file with debug information removed as I do not know how to do that. The 'strip' cdob suggested seems to be a unix app. And I neither have connections to unix nor to linux. And on the Windows side I only found commercial apps like PE Explorer, where the demo version can do a lot, but unfortunatelly not remove debug info. Can somebody in the forum do this job: Download the current mkisofs.exe from the LiveXP server, 'strip' it and post the result here? The folder is compressed before final ISO creation and unpacked to %temp% at build. Are compressed files unpacked at build or at boot time? 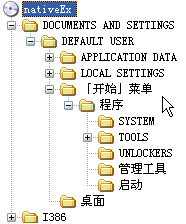 If there is one compressed file at CD: why does chinese chars matter? I guess, there is another option to include "Documents and settings" to CD. Language specific chars does matter that way. However that's not a reliable solution. 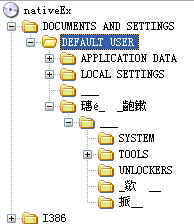 According to ISO9660:1999 draft there is no hint about used charset inside ISO image. Originator and recipient has to aggree to one charset, char confusion is possible. That's sad. I like to learn this charset handling. Please ask the author about the source code. Mkisofs has been released under the terms of GPL so far. Which famous Chinese PE discussion forum do you use? distributing a modified GPL application, but not provide source code? Isn't this considered GPL violation? Did I misunderstood GPL? Well, I could do this. However I dislike to violate GPL knowingly. I'm not sure enough at this point. I like Alex's -duplicates-once, correct timestamps and files greater 4GB. However I implemented ISO9660:1999 8bit chars only. Sorry I can't read, write or test a 16bit char language. Depends on the method. If using ramdisk where 'Documents and Settings' is unpacked at boot, then this wouldn't matter as you say. But if using fbwf with 'Documents and Settings' remaining on CD (which is the method I assume tintinbt is using), then correct Chinese folder names depends on mkisofs. I'm edgy about this myself, and will likely revert to the former mkisofs unless source can be provided. Agree, I had sent a email to the author for the source code. Hope can get it soon, or I need to find another method. For the time being I've now replaced mkisofs.exe with the previous version we had there. Hopefully we are able to source a working and able-to-be distributed version supporting Chinese characters soon.